New stamps honor figures such as Marvin Gaye (left) and Gregory Hines. Many years ago, when People’s World used to be called the Daily Worker, or later the People’s Daily World and People’s Weekly World, a regular feature in its pages was the stamp column. 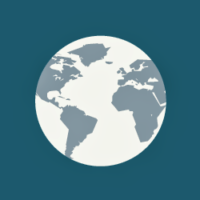 Some of our writers were collectors interested in what images and messages were being used by governments around the world to communicate ideas and values. It was a time when stamp collecting—or philately, to use the Latinate word—was a popular hobby in every country. 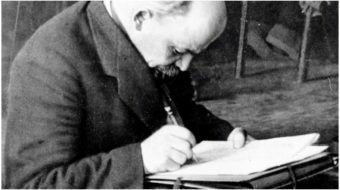 A common activity of people on the left was to exchange stamps across high, impenetrable borders as a way of understanding other social systems, promoting peace and breaking down barriers. Now that email and other platforms have largely supplanted the postal service for personal mail, people don’t exchange letters so much. Yet the tradition of philatelic art continues and is still promoted. One consideration for governments is that if collectors save mint, unused stamps for their albums, they will not be used for postage, so it’s a way of receiving revenue and not providing goods or service for it. Here are a few of the stamps currently available at post offices, and a couple more that will be available in a short time. All of these are “Forever” stamps, sold for the current value of a first-class letter that can be used months or years from now even after the rates have gone up. Gregory Hines is honored by a stamp issued on Jan. 28, the 42nd issue in the Black Heritage series. Hines (1946-2003) was a dancer, singer, actor, and choreographer, whose unique style of tap dancing injected new artistry and excitement into a traditional American form. “He purposely obliterated the tempos,” writes tap historian Sally Sommer, “throwing down a cascade of taps like pebbles tossed across the floor. In that moment, he aligned tap with the latest free form experiments in jazz and new music and postmodern dance.” A prolific film actor, he also won Broadway’s 1992 Tony Award for Best Actor in a Musical, Jelly’s Last Jam. The stamp features a 1988 photograph by Jack Mitchell that shows a smiling Hines on one knee and a red blazer and gray pants, with one foot raised to show the taps on the bottom of his shoe. Today, the posture recalls the “taking a knee” gesture by football star Colin Kaepernick to protest racial injustice in America. With its “Honoring First Responders” stamp, issued on Sept.13, 2018, the US Postal Service recognizes the men and women who respond to critical emergencies with skill, dedication, and uncommon bravery. The digital illustration on the stamp is a symbolic scene that shows three first responders in profile, facing right, as they race into action. We see a firefighter, an emergency medical services worker, and a law enforcement officer. The dark background and signs of smoke suggest the various challenging situations that demand the attention of a first responder. The red, white and blue colors assigned to the respective workers demonstrate the national priority we give to these professions. Although in many smaller communities, people who work at these challenging jobs are volunteers, larger cities require a well organized, well-trained workforce. In most places, these positions are held by union workers who use the principles of collective bargaining to provide them the conditions where they can perform to their best capacity—fair compensation, adequate vacation and leave time, medical benefits, retirement, etc. In difficult and even life-threatening situations, all of these professionals save countless lives and assuage the pain of those they serve. The creative genius of John Lennon (1940-80) is recognized by a set of stamps issued Sept. 7, 2018, in the Music Icons series. Singer and songwriter John Lennon was a rock ‘n’ roll hero successful both as a founding member of the Beatles and as a solo artist after the breakup of that seminal British group. He and his songs are still loved around the world. Lennon’s music remains an anchor of pop radio, continuing to speak for truth and peace. Songs such as “All You Need Is Love,” “Strawberry Fields Forever,” “Give Peace a Chance,” and “Imagine” have become irreplaceable classics in the popular canon. He is also remembered for speaking out about the social and political issues of his time, such as the Vietnam War. The stamp artwork features a photograph of Lennon taken by rock ‘n’ roll photographer Bob Gruen on the rooftop of Lennon’s apartment in Manhattan, one of a series of images used on the 1974 album “Walls and Bridges.” To recreate the psychedelic spirit of Lennon’s time, the original black-and-white image was treated with gradations of color, so that philatelists actually have four different variations to collect. America’s first woman in space, Dr. Sally Ride (1951-2012), inspired the nation as a pioneering astronaut, brilliant physicist, engineer, and dedicated educator. 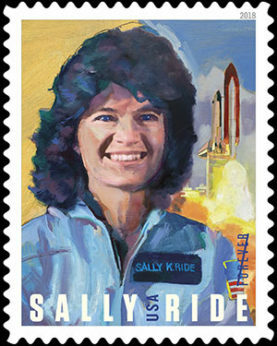 The stamp honoring her was released on May 23, 2018. At Stanford University, she earned a master’s degree in 1975 and a Ph.D. in physics in 1978 doing research on the interaction of X-rays with the interstellar medium. She joined NASA that year and in 1983 became the third woman in space, after USSR cosmonauts Valentina Tereshkova and Svetlana Savitskaya. After leaving NASA in 1987, she worked for two years at Stanford University’s Center for International Security and Arms Control, then at the University of California, San Diego as a professor of physics, primarily researching nonlinear optics and Thomson scattering. She served on the committees that investigated the Challenger and Columbia space shuttle disasters. Ride wrote or co-wrote seven books on space aimed at children, with the goal of encouraging young people, especially girls, to study science. Ride was married from 1982–87 to fellow NASA scientist Steven Hawley, but after Ride’s death, her obituary revealed that her partner of the last 27 years was Tam O’Shaughnessy, a professor emerita of school psychology, who had been a childhood friend. O’Shaughnessy later co-founded Sally Ride Science. Choosing to keep her personal life private, Ride made history for, among other things, being the first known LGBT astronaut. On April 2, the USPS will release its newest stamp in the Music Icons series, honoring Marvin Gaye (1939-84). Known as the “Prince of Soul,” Gaye was one of the most influential performers of his generation. The design features a portrait of Gaye inspired by historic photographs. 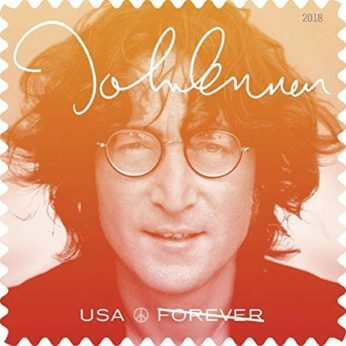 As with the John Lennon issue, the stamp sheet is designed to resemble a vintage 45 rpm record sleeve. Gaye helped to shape the sound of Motown in the 1960s, first as an in-house session player and later as a solo artist with a string of hits, including “Ain’t That Peculiar,” “How Sweet It Is (To Be Loved By You)” and “I Heard It Through the Grapevine,” and duet recordings with Mary Wells, Kim Weston, Diana Ross, and Tammi Terrell. During the 1970s, he recorded the albums What’s Going On and Let’s Get It On, asking pertinent questions about American society. Later recordings influenced several contemporary R&B subgenres, such as quiet storm and neo-soul. He won the 1982 Grammy Award for his song “Sexual Healing” and its parent album Midnight Love. Since his tragic death, Gaye has been bestowed with awards and other honors, including the Grammy Lifetime Achievement Award, the Rhythm and Blues Music Hall of Fame, the Songwriters Hall of Fame and the Rock and Roll Hall of Fame. Available April 10 from USPS will be a set of stamps depicting details from five post office murals of the 1930s and 1940s. Some 1400 murals were created for federal post office buildings in more than 1300 U.S. cities. Those that still survive are notable examples of New Deal art produced during those years. They were commissioned through a competitive process by the Department of the Treasury as part of the Public Works of Art Project, with funding from the Works Progress Administration. A master artist was selected for each project, who then chose assistants from the rolls of the WPA Federal Art Project. These programs were designed to put people back to work who could not find jobs during those hard times. Although many of the artists have been long forgotten, quite a few well known names in American art got their first public exposure by creating these murals. The panels often featured industries and working people native to the area, bringing a touch of beauty and dignity to public buildings across the United States and helping to boost morale. Sources: United States Postal Service and Wikipedia.